The Halls MKII. Remember, no faceting machines, no matter how good, will work as well as your eyes. The old saying, “Cut a little, look a lot,” always applies. 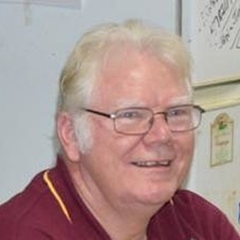 Note: This is a six-part edited version of Trevor Hannam’s Faceting Made Easy, a general introduction to faceting and a guide for learning to cut a standard brilliant gem. Part 2 covers Chapters 2, 3, and 4. 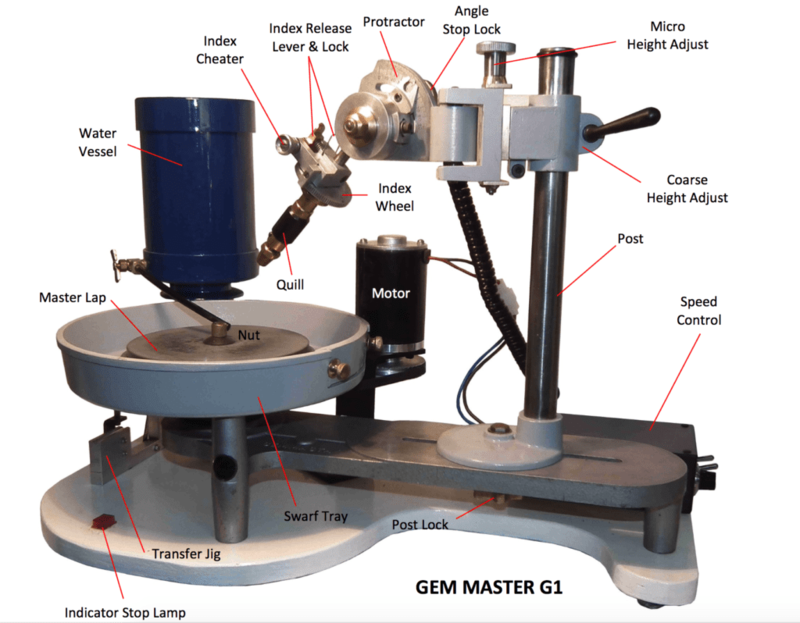 These chapters cover the faceting machines and other equipment beginners need to get started. The International Gem Society thanks Mr. Hannam for permission to post his work. Take a look at the layouts of these different machines. You’ll learn what all the parts and terms mean in the next section. Today, all faceting machines can be considered marvels of modern engineering. Some are better than others. Some offer more incentives with gimmicks and attachments. Ultimately, faceters must decide what suits them best. Your main criteria should be ease of operation in the standard cutting mode. The quill (sometimes called a “dop arm”) houses the mounted dop stick. It’s attached to the toothed gear known as the index wheel. This quill has either a self-center chuck or a small set screw to lock the dop stick in position. 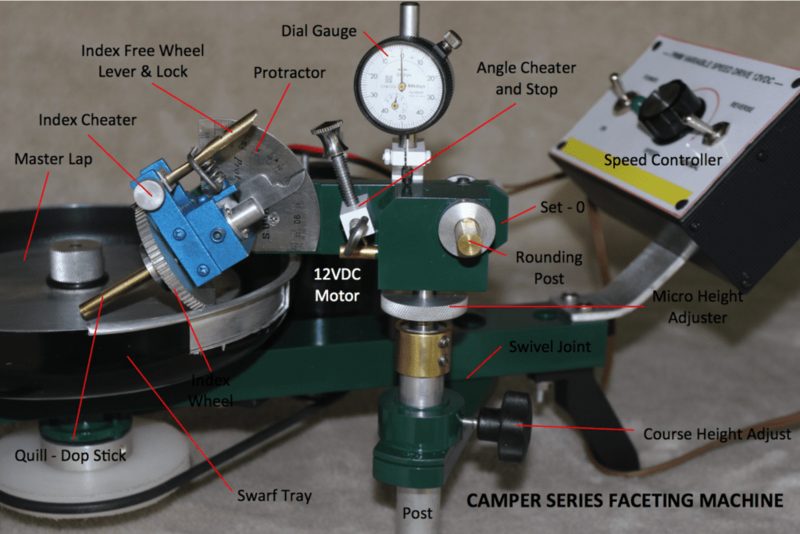 Some faceting machines don’t have alignment notches built into the quill or transfer jig. Alignment tools make life easier for aligning facets between the crown and pavilion. A good machine should have at least one of these. The alignment tool allows for perfect realignment, in case you must remove or replace the dop stick at any stage while cutting or polishing. 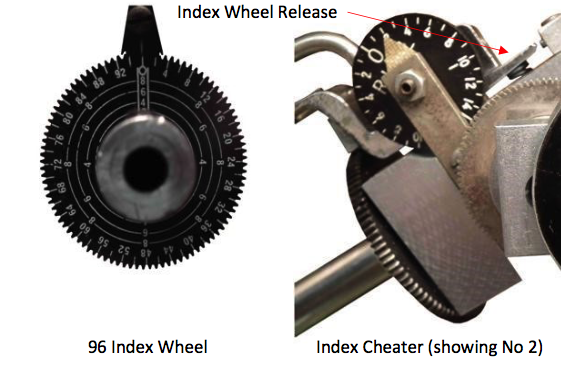 The index wheel, the large toothed gear, comes in a variety of indices. 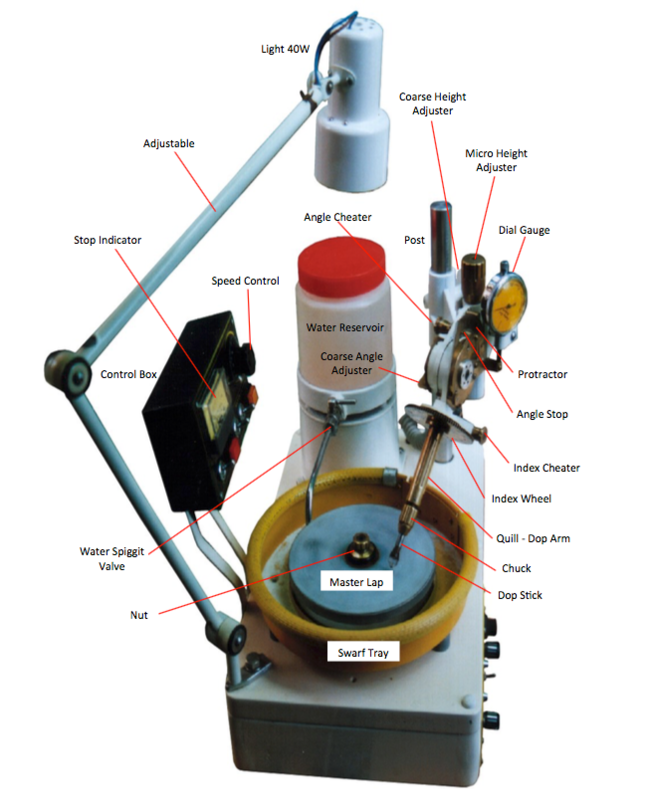 Normally, faceting machines come with a 96 and/or a 46 index wheel as standard equipment. You should be able to interchange these indices without difficulty. If not, beware! With most machines, you can release the index wheel by pushing the arm of the spring retainer, so you can move the quill in either direction. You can also lock this arm into position, so the index wheel and quill can turn 360° for rounding. By using the index cheater, you can get a small amount of movement, left or right of the main setting. 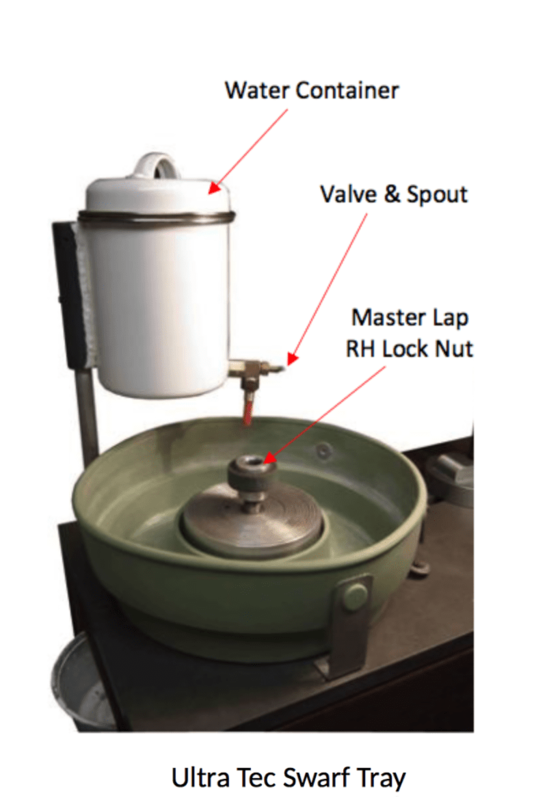 The cheater will allow for small errors in cutting or polishing. Normally, it has a center mark to help you show direction (left or right) when cheating. 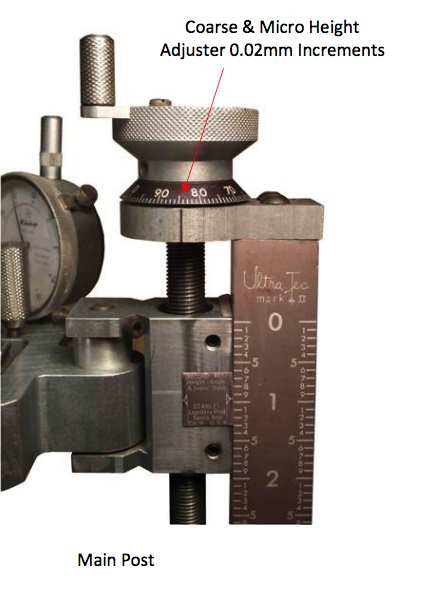 Probably the most important part of the machine, the protractor should have clear, engraved half-degree divisions. It should also have a good marker, pointer, or face you can see and read from nearly any direction when in normal operation. The angle stop sets the quill to any angle between 0 and 90° on the protractor. It should move freely between the stop and the set angle. Most machines incorporate a dial gauge and/or a small indicator light to warn the operator when the stop is reached. The stop should be solid and held firm by a locking device, so the quill can’t pass this point. Some faceting machines might have an angle cheater located on the stop. You can screw this small, tapered shaft in or out to adjust the angle by the 10th degree. However, be prepared. 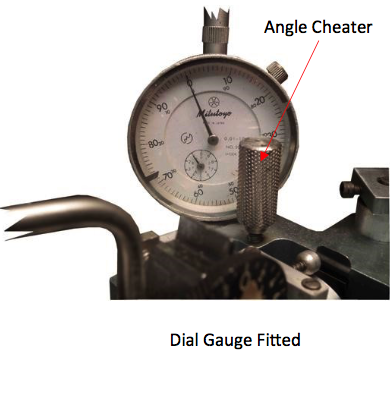 Many machines out there don’t have angle cheaters. In fact, most faceters will say that you don’t need an angle cheater. The post is the main support for the head assembly and is 90° to the base plate. It can be either fixed or adjustable along a slide fixed by a locking nut. 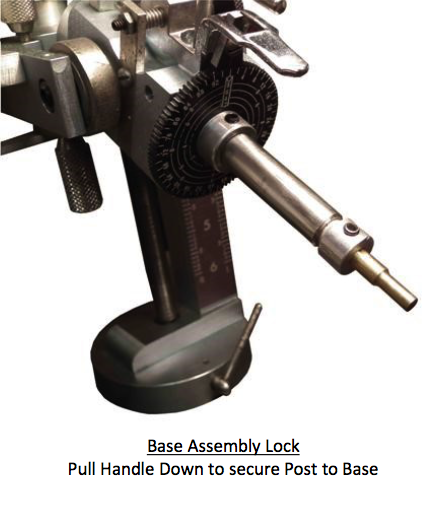 On this post, you have a coarse adjuster, a large knurled knob that releases or tightens the head assembly to the post. Thus, it allows you to make coarse adjustments by raising or lowering the quill by hand. Fitted to the head assembly or sometimes to the main post support, the micro height adjuster should be adjustable within a span of approximately 25 mm. Normally, it’s marked in graduated steps of 1 to 5 thousand increments. 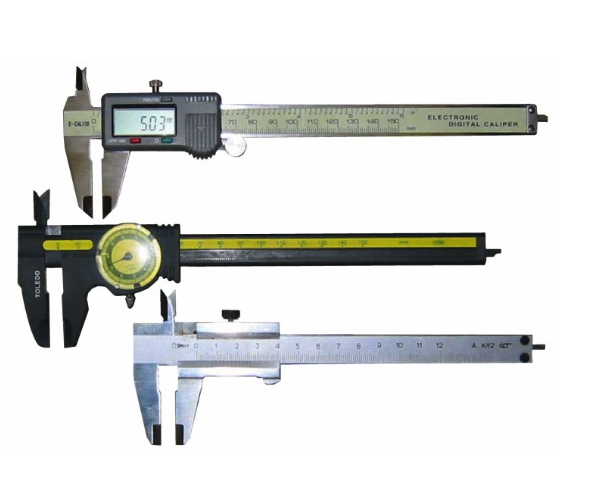 Some machines do have micrometers fitted as part of their standard equipment. Faceters should have a good reserve of water available. 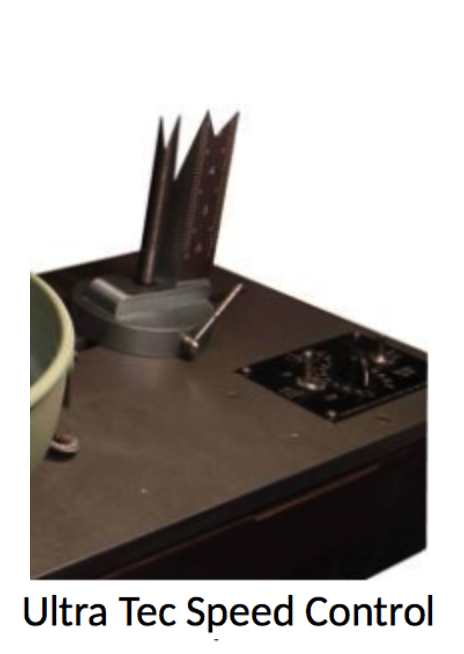 Normally, faceting machines have a 500 ml minimum capacity reservoir fitted to the side of the swarf tray. It should have a fitted stop valve to allow control of the water flow. Also, you should be able to swing the container away from the lap when necessary. Although some faceting machines may have a hand crank, electric motors drive most machines. These can be either 240 or 12/24 volt and are normally belt driven by stepped pulleys or variable speed control. If your machine uses a fixed 2 or 4 pole motor, it should be fitted with a stepped pulley system. This allows you to change the speed manually. 100 rpm makes a good minimum speed. 1,400 rpm + makes a good fast speed. A variable speed system, either 240 or 12/24 volt, makes the best choice. 12/24 volt is preferable due to high torque and less noise. 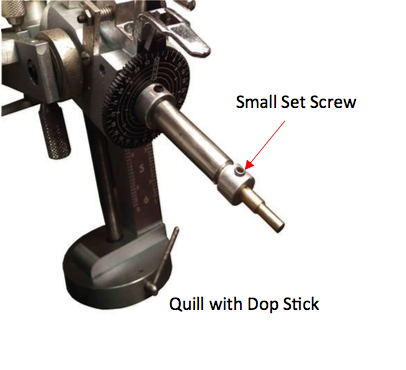 Your faceting machine should include dop sticks, a transfer jig, a 45° angle dop, and a flat dop. Apparently, quite a few manufacturers don’t include flat dops in their kits. If you happen to be one of the unlucky ones, don’t despair. A valve from an auto or bike shop will suffice quite well. Just make sure that it has a 1/4” or 6 mm shank. Other essential tools include small spanners, screwdrivers, and Allen wrenches (or hex keys). You use a lap, a flat disc, to cut and polish gemstones. Nowadays, you can find a multitude of laps for sale, but none better than the good old copper lap. The copper lap has been around for many decades. It makes an excellent pre-polish lap. Many experienced faceters still prefer it. You have to charge this type of lap with diamond powder. They’re cheap and easy to maintain. A metal bonded lap has diamond powder electroplated onto a thin copper disc glued to a master lap made of aluminium. This type of lap costs more than copper laps. However, they cut flat and true with good clean facet edges. From experience, I’ve found that the pre-polish lap does tend to become dull very quickly. Therefore, I don’t recommend it for beginners until they gain more experience. On the other hand, faceters must have coarse laps. They will last an extremely long time and merit the few extra dollars to buy. Polishing laps also come in a variety of types. These include aluminium, brass, ceramic, Lucite, cast iron, iron, tin lead, type metal, and even timber. However, you can’t surpass the ever popular tin lead lap for polishing and as a general purpose lap. If used with 50,000 grit diamond powder, it will outperform all other laps due to the metal’s ability to polish most gemstones. Coarse 100 to 180 grit disc, metal bonded type, to use for quick removal. Coarse 220 to 300 grit metal bonded type. Pre-polish 1,200 and/or 3,000 copper lap. Polish tin lead lap, made from 60/40 solder or type metal. Once you’ve established yourself as a faceter, try experimenting with other laps. They all work very well. You’ll find the aluminum lap works extremely well for polishing sapphires. The ceramic lap gives clean, flat, sharp facet edges. It’s best suited for gemstones with 8+ hardness. Ceramic laps don’t make good general purpose laps. However, if you want to enter faceting competitions, consider well this lap’s superiority over soft laps. Consider cast iron and iron laps as second best to tin lead laps. They give a good, crisp straight edge. You’ll also find them well-suited for stones with 8+ hardness, like sapphire and topaz, that require diamond powder and a good grade of olive oil. The lap’s coarseness or porosity of the metal makes it a good holder of polish powder. From experience, I consider this lap type on par with ceramic. They give precise, clean, flat facets. You’ll find it worthwhile persevering with them until they’re worn in. Faceters normally use Lucite laps, made of plastic, with cerium or tin oxide powders mixed with water for polishing quartz. These laps must stay extremely wet while in use to prevent heat buildup and facet edge rounding. (I’ve found quartz one of the most difficult minerals to polish. Adding a small amount of vinegar to the polish mixture helps). Lucite laps require a very slow speed to use. Diamond grit used for gem cutting and polishing comes in sizes ranging from 0.1 to 100 microns. Nowadays, we mostly use synthetic diamond powder, which has a more consistent particle size than screen sieved natural stones. Grit sizes of 80 to 325 normally come in a powder form in 1 to 5 carat vials. 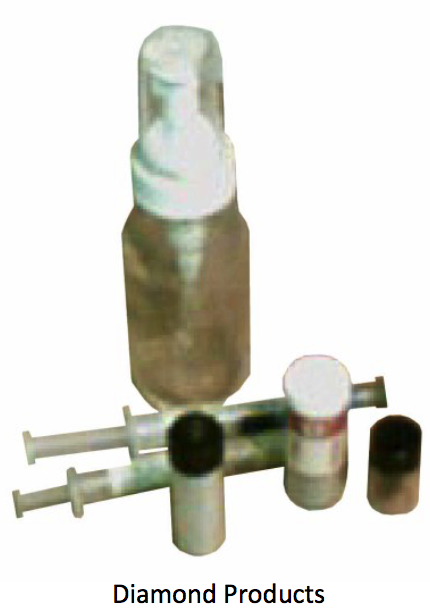 On the other hand, 600 grit sizes and over can come in a variety of containers, vials, syringes, and spray packs. To start, beginners will need 1 carat of each of the following sizes: 1,200 grit, 3,000 grit, and 50,000 grit. The 1,200 and 3,000 grit are both the pre-polish grade. 1,200 grit serves as the all-rounder for pre-polishing. Use the 3,000 grit for doing sapphires, since they suffer badly from “orange peel” or over cutting due to planes of softness within the mineral. Use 50,000 grit for the polishing stages. It also makes a good all-around polish powder. However, you can also use 100,000 grit for polishing, but facet polishing will take a little longer. In my experience, there is virtually no difference between these polishing powders when it comes to viewing the finished product. Epoxy adhesive such as “Tite On”/J-B Weld. A small tube of 5 minute Araldite. You can buy a small container of dop help from any good lapidary supplier or make your own. To make, you’ll need shellac flakes and methylated spirits. Paint or hardware stores carry shellac flakes. Also, you’ll need a small glass container with a tight fitting lid (like a Promite container). Fill the container half-way with shellac flakes. Then, pour methylated spirits onto the top until the container is full. Next, shake the container vigorously for a few minutes once every day for 3 days. After letting it settle for a couple of days, pour the top part of the liquid into a small vial. This makes an excellent, inexpensive dopping media for faceter’s wax that will last you for years. Beginners as well as any enthusiasts must have three or four dop stick holders. You can make them from a 1” broom handle. Cut three or more pieces from the broom handle, each approximately 30 mm long. Then, drill a 1/4” hole in the center to a depth of around 15 mm. These essential pieces of equipment will hold your dop sticks upright for gluing, fixing, and handling your gem stones. When you use hot wax, you’ll find them especially valuable. Faceter’s dopping wax is made from a mixture of shellac flakes and red ceiling wax. Dopping with wax has been around since “God was a little boy.” Many still regard faceting wax as the all-purpose adhesive for gem faceting. Normally inexpensive, it comes in a bundle of five to six sticks per pack. Occasionally, you can also use green wax. However, its softness can cause the stone to shift while polishing due to heat buildup. You’ll need a head loupe of 3¼ power and/or a 5 to 10 power eye piece. (Preferably, get a corrected one, so you won’t have distortion on the outer rim when viewing an object). Eyes pieces from a pair of binoculars (7 × 50 or 10 × 50) can yield good, inexpensive lenses. You can pick these up easily second hand, and they work extremely well. Any small knife will work fine. Just make sure to dedicate it to the job, since you’ll use it for heating, scraping, mixing, and applying adhesives. Cooking grade olive oil will do fine. This oil works as a coating to hold and distribute the diamond powder onto your pre-polish and polish laps. When you mix olive oil with Shellite (1 part olive oil to 40 parts Shellite), you create an excellent cutting oil extender for both the pre-polish and polish laps. In addition, it makes a very good cleaner for the laps. Pour the extender into a small spray bottle (50 ml), as it will give better coverage. You can use a medium size jam tin, cut out to fit your spirit lamp, as a hot plate. Use it for slowly heating your gem rough to accept dopping wax to transfer onto the dop sticks. Beware of naked flames and use common sense. 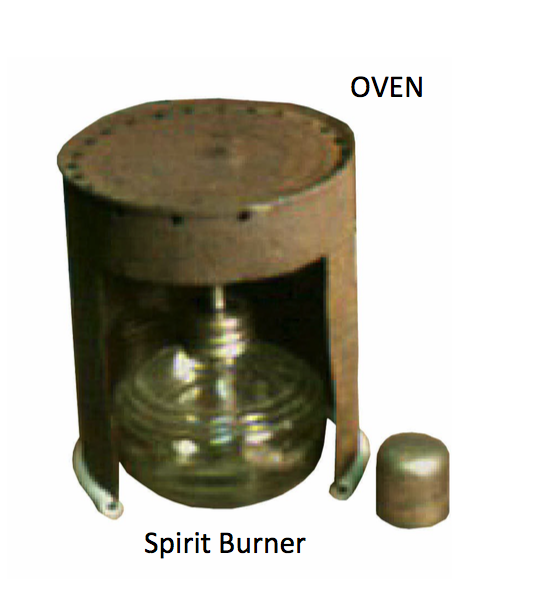 Almost any type of burner (even a candle) will work as a flame heater for heating wax and transferring. However, you’ll find an alcohol lamp, like the one pictured below in the homemade oven, your best bet. Compared to some other types, it has a clean flame and good heating ability. Refractol will help you see imperfections within a piece of rough. This oil has a refractive index (RI) close to the mid-range of most minerals, approximately 1.57. When applied to rough with a small, fine artist’s brush, it makes the surface extremely clear, like glass. This makes it easier to view inclusions. You can also purchase clove and cinnamon oil, as these have RIs of approximately 1.54 and 1.62, respectively. These will help you view rough with RIs lower or higher than 1.57. If you want to get into competitions, you’ll need a good pair of metric, plastic vernier calipers with a gauge for measuring gemstones. Although calipers range in price from cheap to expensive, get as good a pair as possible. (Ultimately, your pocket will make the decision). 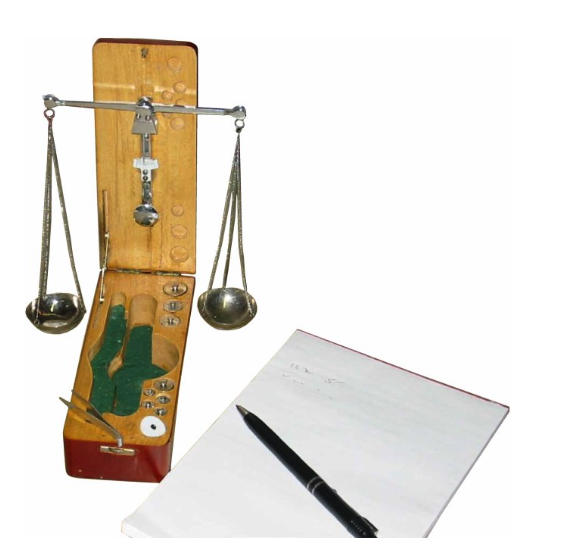 Although not essential, a set of scales for weighing your finished gems has some benefits. Make sure the scales can measure as low as 0.001 carat. (Remember, 5 carats to 1 gram). Keep soft tissues, like soft toilet rolls, handy. It’s a good idea to fix a toilet roll holder close at hand when faceting. Methylated spirits and/or acetone make good dop stick cleaners. They also can clean up super glue, etc. Always keep pen and paper at hand to write down information when faceting. A small 4” trim saw would make a good investment. However, you can do without it, since most stones can be cut directly from the rough. 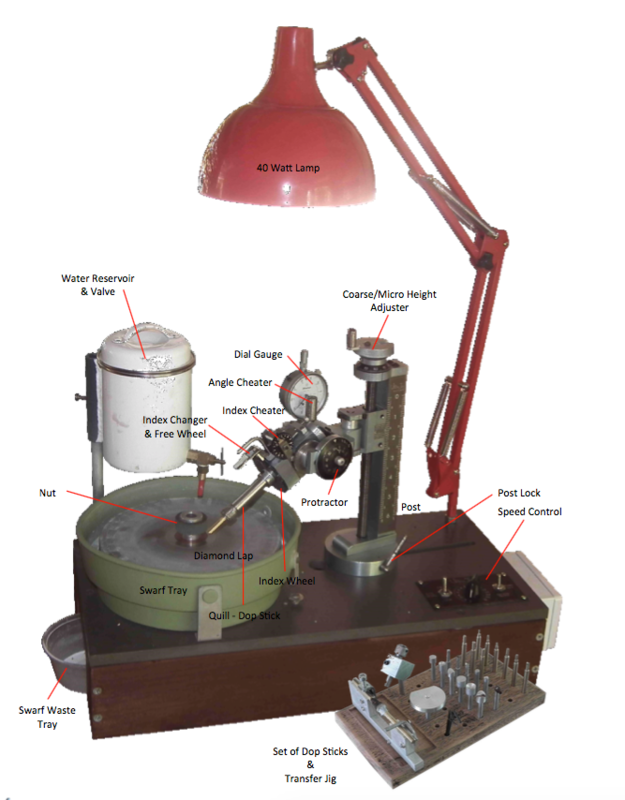 An engineer could make a small mandrel to take a small blade on the faceting machine. You could then use this to cut the mains of gemstones, thus saving the expensive laps. You can easily make up your pre-polish lap. Take a new copper lap and clean the surface with a tissue with the extender fluid. Next, place a couple of drops of olive oil on your lap. With a clean tissue, wipe it all over the lap until it’s almost dry. Now, you need the vial of 1,200 grit diamond powder (pre-polish powder). Wipe a clean index finger over the lap. This will leave a smear of oil on your finger. 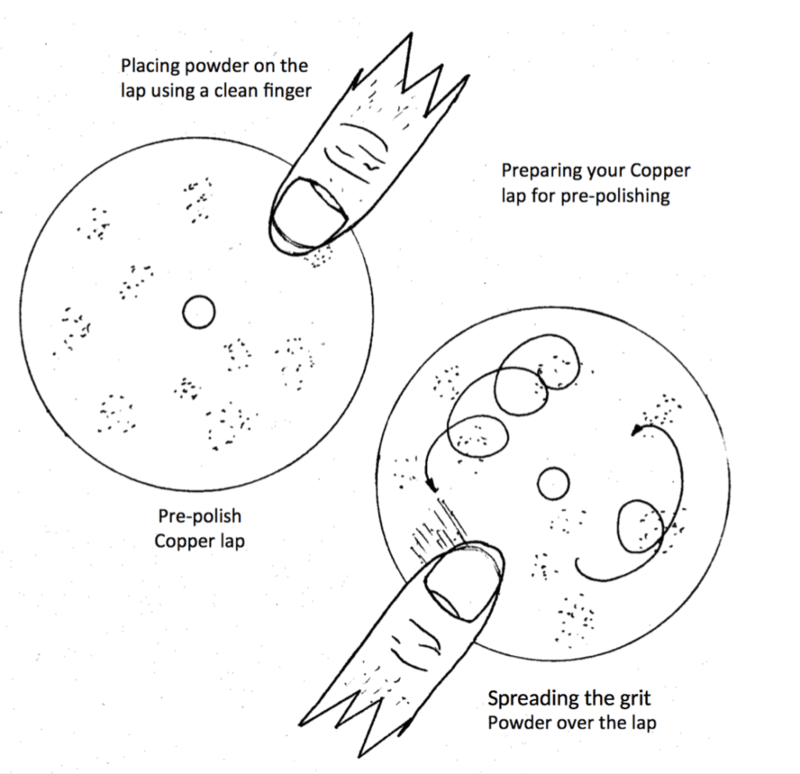 Open the 1,200 grit diamond powder, place your index finger over the top and invert. 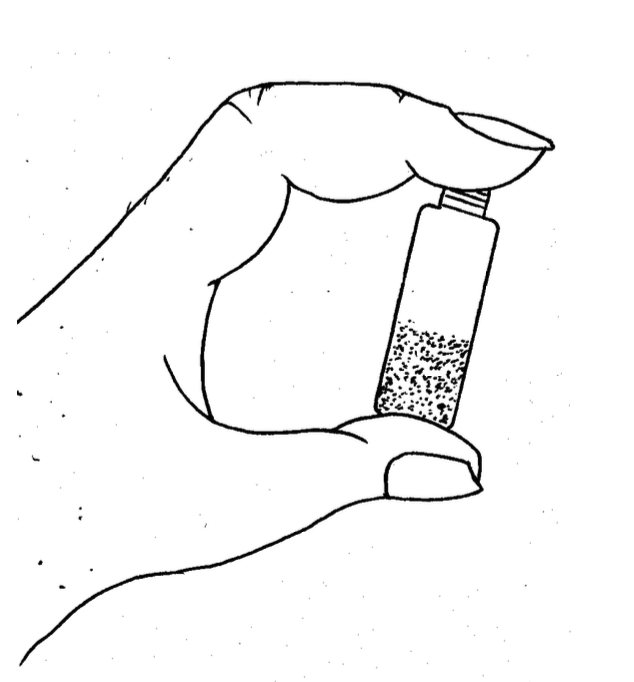 Invert again and lift your finger off the vial. You’ll now see a grey coating of powder on your finger. Place your finger in different spots over the lap. Then, spread the powder as evenly as possible over the laps surface with your finger. You now have a prepared pre-polish lap. It will last a long time before the lap will need resurfacing with diamond powder.